I took this several years ago at the same roadside produce stand where I took the photo in a previous post linked here. I found the image in my archives, pulled it out and polished it off, so to speak, and decided to post it today. 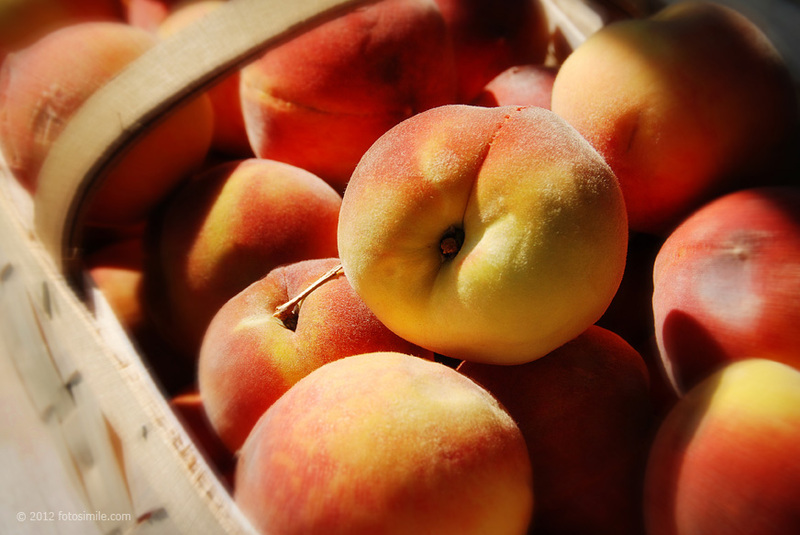 To me, yummy fresh peaches like these are the essence of summer. Seemingly, I could reach into the basket, grasp a peach, and taste the juicy fruit.